One problem with pepper is that it doesn't get your heart rate up. A good alternative is introduced in this video by Taye Im, club director for Team One Volleyball in Aurora, Illinois. Im's drill has 3 levels – beginning, intermediate and advanced – and it typically spans 15 minutes. 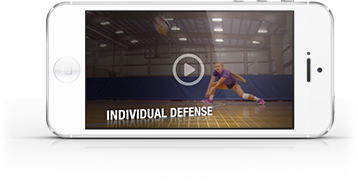 This drill is played over the net, and it requires players to perform a variety of skills. For instance, they might pass to themselves, then set the ball over the net to their partner. The next progression might be to pass to themselves, set, then hit a roll shot. Two of the big advantages of this drill are that it creates a more game-like environment than regular pepper to build ball control skills and that it gives athletes a good cardio workout that will get them warmed up for practice.